I don’t know if you realized, but it is about two weeks until Christmas. TWO weeks. I say this every single year (I’m redundant like that) but I have not-a-clue as to how the time goes by so insanely fast. I’ve got Christmas countdown whiplash over here. Luckily, we’ve got our shopping done. Well, with the exception of like 1 1/2 presents. How can a person have one half of a present left to buy? Not sure, but I managed that somehow. I’m like a gifting Houdini. 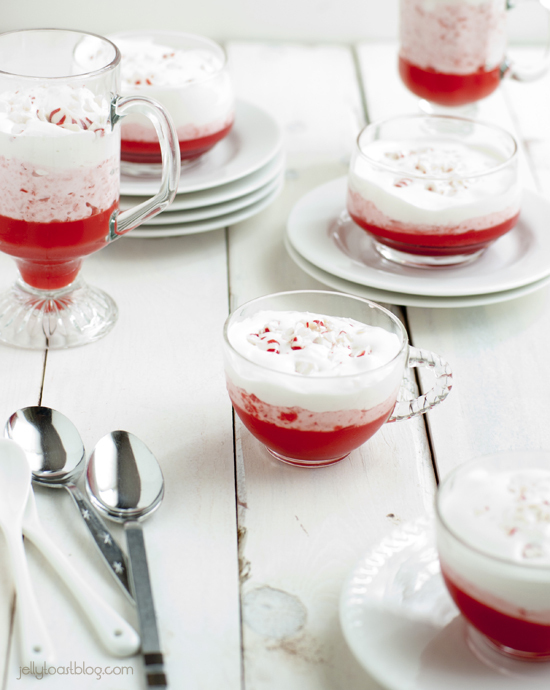 Speaking of Houdini, these little peppermint parfaits are something that on paper I couldn’t quite figure out. Raspberry gelatin and peppermint? How exactly does that work? To be honest, I’m still not sure how it works, I just know that it does. The recipe actually came from my sister’s mother-in-law (following that? ), and my sister brought it to our Christmas gathering a few years back and I was instantly intrigued. 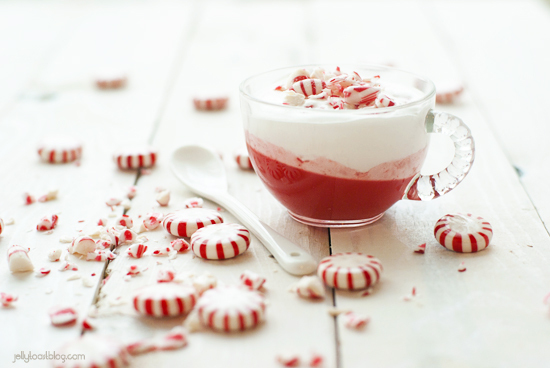 When I started planning what holiday treats I wanted to make this year, peppermint gelatin popped into my head. It’s so cute and festive. But I couldn’t just leave it alone, I wanted to tweak. I have been having a love affair with individual desserts, as evidenced here and here. So my first alteration was to turn this dessert into a bunch of cutie patootie parfaits. Small jello desserts then got me thinking about small boozy jello desserts, and I felt that was something worth exploring. I can’t tell you how glad I am that I did. as of late, so I figured adding some to make these desserts more ‘grown up’ would be a great idea. 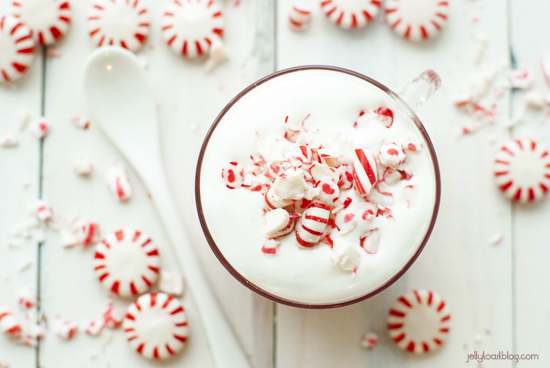 Cool peppermint with the sweet gelatin and smooth whipped topping make this a perfectly sweet combination. These parfaits were made two ways: boozy and not boozy. That way the kiddos could enjoy them as well because I knew if I made a cute little red and pink dessert there was no avoiding the Baby wanting a piece of the action. So, one boozy batch and one not boozy batch were made. And all were enjoyed! 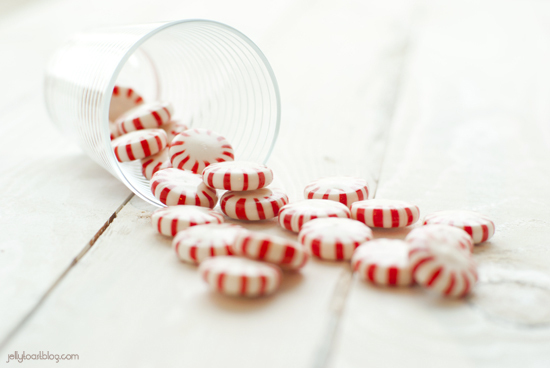 In a small saucepan, add 1 ½ cups of water and crushed peppermints. Bring to boil and stir until peppermints are melted. Add gelatin and stir until dissolved. Remove from heat. Stir in vodka (or water). Pour a scant 1/3 cup (2.5oz) of gelatin mixture into each glass. Place remaining mixture in a small bowl. 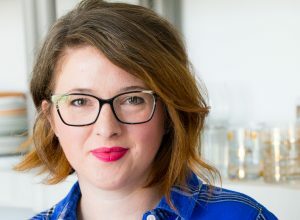 Chill glasses and small bowl of gelatin until slightly thick; about 1- 1 ½ hours. 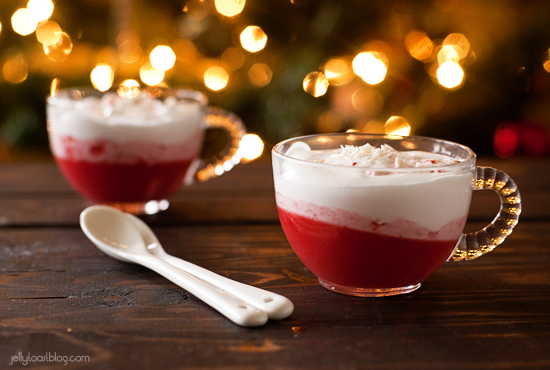 Mix remaining gelatin (in small bowl) with two cups of whipped topping. Divide evenly between the 8 glasses. Chill until set, about 4 hours. Top each parfait with a dollop of whipped topping and some crushed candies and serve! Absolutely stunning!! Not to mention, these sound fantastic. I love the addition of the marshmallow vodka in the boozy ones. Yum! Thanks, Kate! I wasn’t sure how the marshmallow vodka would work, but it was awesome in these!